When the International Atomic Energy Agency, or IAEA, and its then-Director General Mohamed ElBaradei received the Nobel Peace Prize in 2005, the Nobel Committee noted that the IAEA was the “first to show that North Korea was developing nuclear weapons,” in addition to other accomplishments. “IAEA inspections are the heart and soul of the nuclear nonproliferation regime,” commented ElBaradei upon accepting the prize. As it becomes clear that Congress will not block the Iran nuclear agreement, attention is now turning to its implementation. IAEA inspections and the technologies at the center of their work are increasingly prominent in the U.S. debate. Nongovernmental experts, IAEA officials, the media, and executive branch officials have gone to great lengths to satisfy concerns regarding future inspections, Iran’s enrichment capabilities, permitted research activities, and other concerns. Yet questions persist regarding the technical and implementation details of the Iran agreement. This issue brief provides basic answers to increasingly common questions regarding details on centrifuges, enrichment, inspections, and other technical aspects of the agreement. These elements will shape the agreement’s implementation in the years and decades ahead. As Congress and the public increasingly look to what the future holds when the Iran agreement is implemented, a central question is just how much the agreement will curtail Iran’s nuclear capabilities in the near term. In addition to gauging Iran’s political will—the first step in any country’s movement toward or away from nuclear weapons—understanding its weapons of mass destruction, or WMD, capabilities becomes critical. This requires gauging both Iran’s nuclear equipment and the country’s knowledge and expertise that could be applied to leverage its available technologies for military ends. The agreement significantly constrains Iran’s nuclear capabilities in the near term, despite commentary focusing on the elements of its program that Iran is permitted to continue for peaceful purposes. While no short article can convey the full depth of how the multitude of measures can set Iran back, a number of important changes to Iran’s current trajectory are important to highlight. To start with, removing nearly 98 percent of Iran’s enriched uranium is one of the agreement’s monumental successes. The effect of these measures will be to limit Iran’s operational knowledge. Running a single, two, or a small cascade of centrifuges differs significantly from a country smoothly operating hundreds to thousands of lightweight units spinning by the force of powerful rotors. New operational challenges arise as cascades of centrifuges expand. Under the agreement, Iran’s ability to troubleshoot such hurdles in a serious manner is extremely limited over the next decade. While Iran will continue operating a larger cascade of IR-1 centrifuges, it does not have extensive operational skill at doing so at the same scale with its newest centrifuges. Under the terms of the agreement, Iran won’t be able to begin developing that practical knowledge for at least eight years. The effect of this deficit of hands-on experience will be to extend the timeline by which Iran could develop a nuclear weapon if it chose to do so, compared to its capabilities today if the agreement isn’t implemented. Another little discussed but important element of the agreement is that it limits Iran to enrichment activities only with its existing gaseous centrifuges for the next 10 years. This precludes Iran from experimenting with enrichment methods such as laser isotope separation that could be harder for the international community to detect. Continuous verification to ensure that Iran complies with the terms of the agreement is crucial. Members of Congress and the public are therefore increasingly raising questions over whether the IAEA inspectors can be trusted, how easy or difficult it would be to manipulate the inspections process, and whether the United States is hindered by not having U.S. inspectors on the ground. These important questions prompted the IAEA director general to meet with congressional leaders to increase confidence in the organization’s procedures. Put simply, it would be extremely difficult for inspectors to distort the results of their verification activities. Manipulating the equipment used to take and characterize samples and to conduct other verification measures would most likely produce inconsistencies that would trigger further IAEA concern and inquiry. The IAEA’s procedures are set up to ensure that no single individual can confidently hide or distort data. Given the firewalls in place and the number of people involved—including inspectors on the ground and laboratory personnel tasked with analyzing samples—elaborate collusion would be necessary to deceive the international community. For a number of reasons, the most advantageous position for the United States is not to have Americans on the ground conducting the inspections; having U.S. inspectors on the ground would produce marginal benefits, if any. The strongest U.S. position is to ensure the IAEA can perform its mission without political constraints, which would include making sure no one can accuse inspectors of bias because of their nationality. The consolidation of enrichment activities and of centrifuge parts to be mothballed based on the terms of the agreement will further facilitate the IAEA’s ability to verify Iran’s activities. The agreement allows tight IAEA monitoring of stored equipment. The agreement’s plan to permit Iran to establish a technology center the Fordow facility has raised concerns that this consolidation does not go far enough and that Iran should not be permitted to conduct any work there. However, the agreement ensures that the IAEA can verify that no nuclear material will be used at Fordow for the next 15 years. The U.S. government and others should work together to ensure that the technology center at Fordow does indeed become a host of international collaboration as the agreement outlines; the establishment of this kind of collaborative center is a common tool used to allow countries to engage in treaty-permitted activities while steering them toward work that enhances peaceful applications of technology. A trickier question regarding verification is whether Iran can kick inspectors out of the country or, short of that, deny IAEA inspectors access to specific locations. The simple answer is yes: International nonproliferation agreements do not eliminate the sovereign rights of countries over their territory. As a sovereign nation, Iran in theory can limit the access of inspectors or remove their permission to stay in the country. This is the case regardless of the status of the current nuclear agreement. This question, however, has created a harmful distraction from the more important one: If Iran denies the IAEA the ability to do its job, are the United States and the international community better positioned to respond with the agreement or without it? If Iran does not permit IAEA inspectors to do their job, it would send a strong signal to the international community that political calculations within Iran’s government may have changed and therefore would raise significant concerns. Having such mile markers is far better than dealing with ambiguity in terms of understanding a country’s nuclear intentions. Under the agreement, the procedures and timelines for triggering action by the international community are also relatively short compared to the months it normally takes to generate international consensus to mobilize action. Another crucial question is whether Iran can quickly develop a nuclear weapon at the end of the timelines outlined in the agreement—8 to 10 years for some activities and 15 years and longer for others. What the United States and the international community do during these years will be pivotal when it comes to keeping Iran off of the weaponization course. As with a number of issues outlined above, the more important question is whether the United States is better off with or without the agreement in place in terms of understanding Iran’s nuclear intentions and having the political justification to react appropriately if necessary. The next 15 years of IAEA verification across Iran’s nuclear sites will establish a strong baseline for Iran’s capability levels with all of its equipment. From this baseline, the United States and its partners will be able to gauge more accurately how quickly—or slowly—Iran tries to ramp up its enrichment activities in the future than we can today without an agreement. If Iran rapidly reconfigures long assemblies of centrifuges or undertakes other actions that would indicate the political intention to quickly ramp up enrichment, then under the terms of the agreement, the international community will likely know and can react appropriately. Without the agreement, those clear indicators won’t be in place to signal Iran’s intentions. Furthermore, because inspectors will be present if and when Iran begins slowly increasing use of its newer centrifuges, the IAEA will gain important knowledge on the differences among Iran’s centrifuges and their operations beyond what is known today. The United States has many options for increasing the odds of keeping Iran off the nuclear weapons path in the coming years. Congressional leaders are well positioned to champion these and other measures and thereby help establish nonproliferation trends that could guide world events for decades, akin to the work of former Sens. Richard Lugar (R-IN) and Sam Nunn (D-GA) to secure and dismantle weapons of mass destruction in the former Soviet Union. The U.S. government should begin working immediately with trusted international partners to develop potential diplomatic, economic, and military courses of action, beyond those outlined in the agreement, in case Iran moves back toward a nuclear weapons pathway. Congress and the Obama administration can increase support for threat reduction activities in the Middle East that provide countries in Iran’s neighborhood with the tools and training for detecting, interdicting, characterizing, and responding to WMD-related activities. The Cooperative Threat Reduction Program, Consequence Management Assistance Program, and other programs need consistent support from Congress and the White House over the next 15 years and beyond, tailored to build capacity in ways that reassure Iran’s neighbors. These threat reduction programs lessen countries’ vulnerability to regional dangers and also help counter WMD terrorism and other risks. The United States can lead the international community in shoring up financial support for the IAEA to enable their work in ensuring Iran does not engage in nuclear activities for weapons purposes. The United States and like-minded countries should encourage Iran to forgo expanding its enrichment capabilities in the years ahead. Instead, Iran could receive enriched uranium for its energy, medical, and peaceful research needs from an international supplier or the forthcoming IAEA fuel bank in Kazakhstan. This measure is not politically feasible today, but the history of reducing weapons of mass destruction threats is replete with examples of concepts that seemed politically preposterous at the time becoming viable options and eventually implemented. Few people expected Muammar Gaddafi or Bashar al Assad to relinquish weapons of mass destruction to the international community, for example, but both became feasible under threats of international action. Finally, future U.S. administrations must ensure that America is living up to its commitments under the Treaty on the Non-Proliferation of Nuclear Weapons. 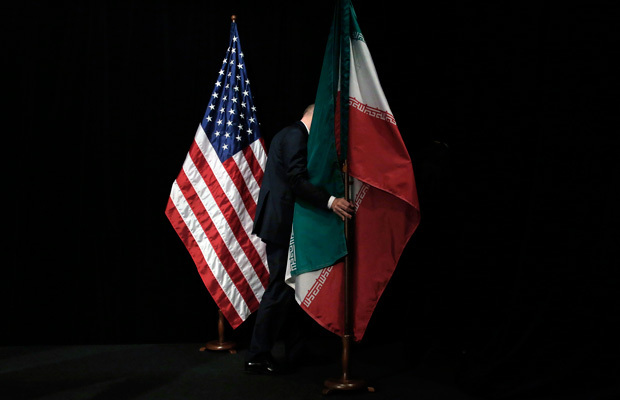 Many of the measures outlined in the Iran agreement cited by opponents as unfavorable are already enshrined in treaties that the United States has long-since ratified. The United States must live up to its treaty obligations to ensure that it can mobilize international political will when needed in the future. The many ways in which Iran’s enrichment capabilities are significantly reduced and kept in check, coupled with the extensive monitoring and verification efforts by the IAEA, clearly demonstrate that the United States and the international community are best positioned to thwart Iran’s potential nuclear weapons ambitions with the nuclear agreement in place. To further protect U.S. security interests and promote stability in the Middle East, Congress and the executive branch should immediately begin building on the agreement through extensive planning with key allies and partners and by increasing support for the broad range of programs that reduce the threat of weapons of mass destruction. Christine Parthemore is a Senior Fellow the Center for American Progress. Prior to joining CAP in March 2015, she served as the senior advisor to the assistant secretary for nuclear, chemical, and biological defense programs in the U.S. Department of Defense. The views expressed in this article are those of the author and do not represent the official policy or position of the Department of Defense or U.S. Government.